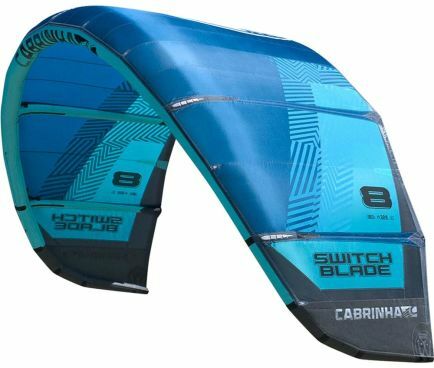 There is only one kite which has embodied the true spirit of kiteboarding for the last 8 years for its spot-on performance in such a wide range of conditions. 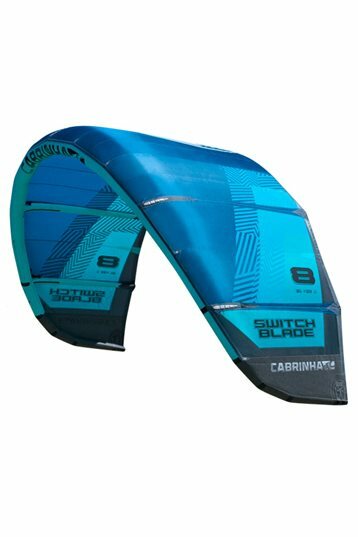 The Switchblade humbly takes the title of the highest performance kite with the easiest handling. But we are not about to rest on our laurels. In 2014 the Switchblade gets an upgrade in handling with an all new bridling that provides an even more direct and precise steering. Changes in outline and profile ensure that the 2014 Switchblade delivers power on the low end and precise handling and control on the top end. Riponevo alte aspettative da questo kite ma non sono rimasto soddisfatto. con circa 10/12 nodi i miei amici con le rebel e le evo delle stesse dimensioni andavano mentre la mia switchblade stava in aria per miracolo e nei leggeri buchi di vento tendeva a stallare. Sotto raffica strappa inizialmente anche se poi sventa bene. Forte pressione sulla barra che da l'impressione di essere sovrainvelati, bolina da paura ma ci si stanca per la forte pressione che genera. Buona altezza nei salti ma tende a stallare. Ricordo che il test è soggettivo e non tutti possono condividere il mio commento ma vi assicuro che sono felicissimo di averla venduta. Unfortunately not used as much as I would have like to yet, but enough for a first opinion. All that was good about the Switchblade 2013 still is in 2014. It's just slightly faster and has better lowend. 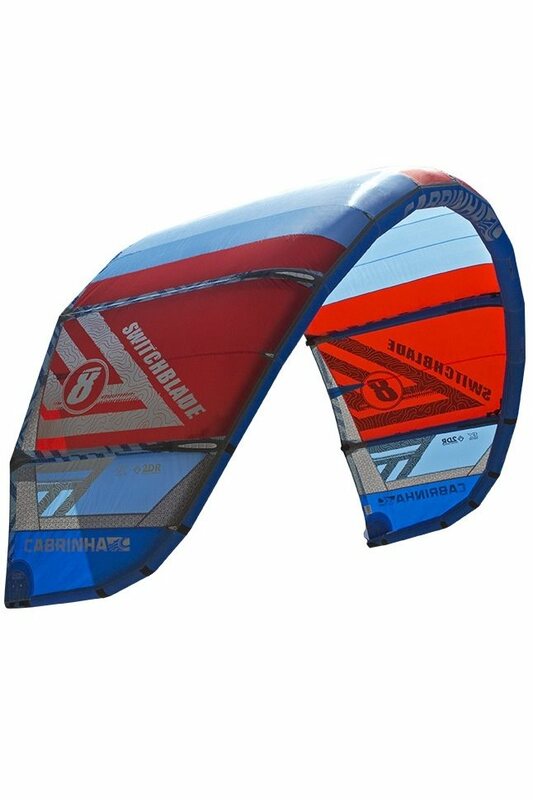 It's just the perfect allround kite for people who don't have the ambition of going freestyle pro. I know some people still find it slow, I call that predictable. Lowend is AWESOME. 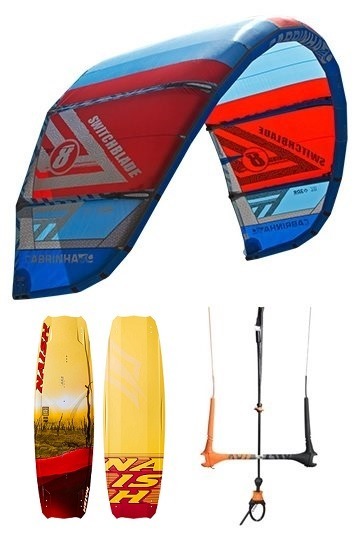 I was out on my 12 when other kiters (lighter by weight and with bigger boards) were struggling with their 15m2. I buy Cabrinhas for their quality and ease to resell - honestly, just look how many old Crossbows you still find on beaches all over the world. You know these kites deliver mileage! 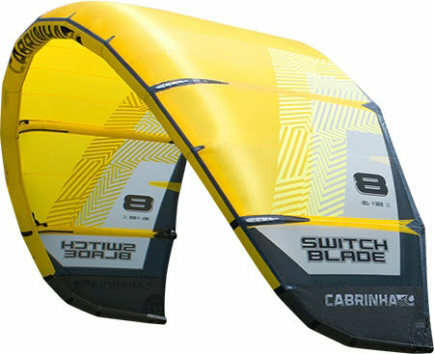 Always good to test kite series who are tuned for many years. 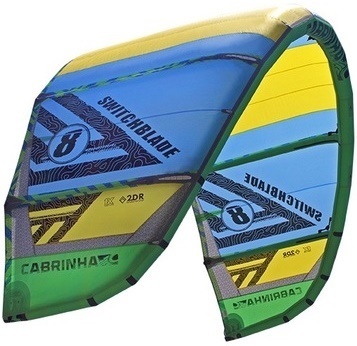 Cabrinha has always a soft touch in its kites. I came from the Best TS both all rounders, but a different feel. The Switchblade feels soft, gradual in its power building, long depower stroke, tip turns and lots of feedback. 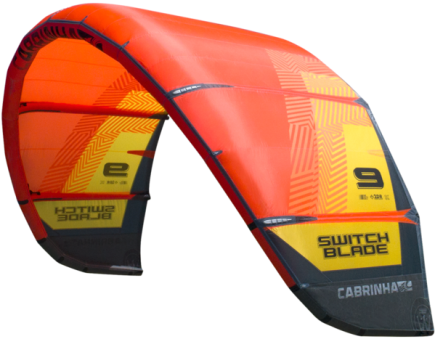 The Switchblade has a big wind window so it's easy to ride upwind. The lift is gradual, with the right timing you will feel the big air possibilities. Key characteristic in the Switchblade is the soft and controllable powerbuilding, long depower stroke and the gradual & long pulling lifts.